Tucked away towards the end of this most exclusive address and within close proximity to Old Oxted High Street and its wealth of period properties and inns. The property is also within reasonable walking distance of central Oxted offering a wide range of shopping facilities together with leisure pool complex, cinema, library and railway station with service of trains to East Croydon and London. Both private and state junior schools together with Oxted School are present within the area. Sporting and recreational facilities, such as the renowned Tandridge golf club, are available within the district. For the M25 commuter, access at Godstone Junction 6 gives road connections to other motorway networks, Dartford Tunnel, Heathrow Airport and via the M23 Gatwick Airport. From the A25 turn into the High Street of Old Oxted and then into Beadles Lane immediately opposite the Old Bell public house. Continue along Beadles Lane and Neb Lane is the second turning on your right after a quarter of a mile. On entering Neb Lane, which is a private road, follow the road until you reach the sixth house on the right house side. Rarely do properties in Neb Lane come to the open market and it is with great pleasure that Payne & Co. Are delighted to offer The Firs. 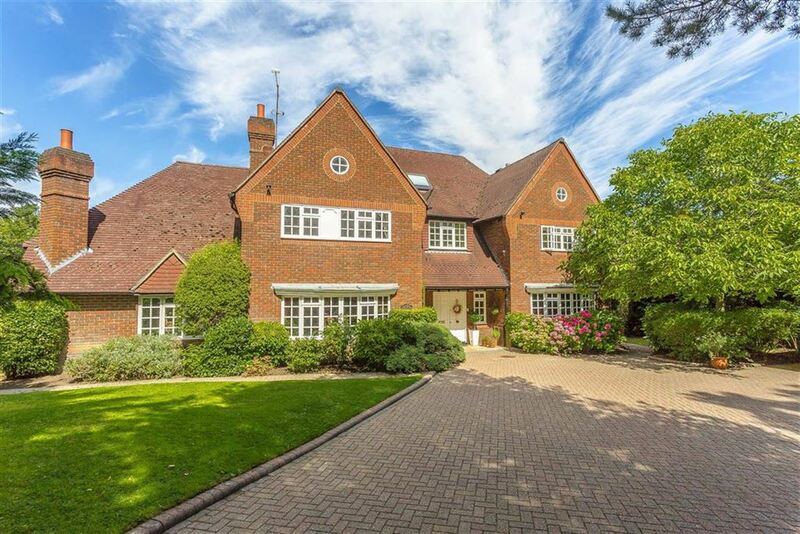 Situated in Old Oxted s most prestigious address this superb family home boasts over 5300 sq.ft of living space. The property has been extended in recent years and now offers bright and versatile accommodation over three floors together with detached triple garage and grounds of 0.5 acre.